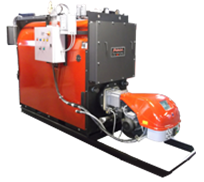 At Heat & Power Products, we are your single source boiler, burner, pump, and boiler room accessory supplier. 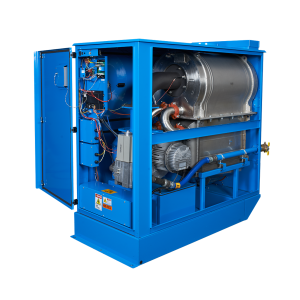 Representing equipment manufacturers for over 45 years, Heat & Power Products is equipped to serve contractors, engineers and end-users with professional sales, specification, design and after-market support. Condensing, firetube, duplex stainless-steel heat exchanger. Primary/Variable flow hydronic system application. 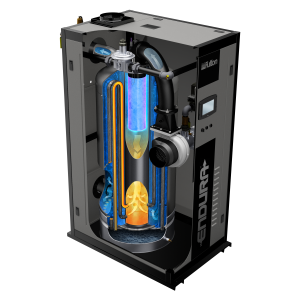 Ultra-high efficiencies up to 99%. Fully modulating with high turndown capabilities. 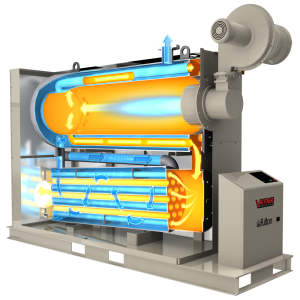 Condensing, stainless steel heat exchanger, 5:1 turndown, and custom configurable. 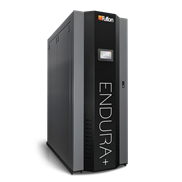 Ultra high efficiencies up to 97%. Fits through 36" doorway. Designed to allow all annual maintenance through front door. Condensing, firetube, duplex stainless steel heat exchanger. Primary/variable flow hydronic system application. Ultra high efficencies up to 99%. Fully modulating with high turndown capabilities. Condensing, cast aluminum heat exchanger, low maintenance. High efficiency, up to 95%. Uses natural gas, propane, or both. Fits through standard doorway and elevator. Non-condensing, copper finned heat exchanger, full modulation with 5:1 turndown. High efficiencies, up to 88%. Uses natural gas or propane. Easy to inspect and maintain. 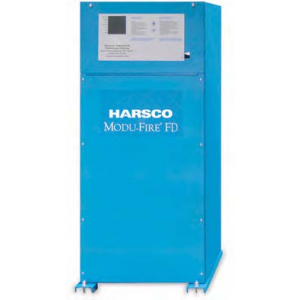 Non-condensing three-pass scotch marine boiler, Horizontal fire-tube design, uses Natural gas, #2 oil, or a combination of both for a dual fuel style burner, models up to 125 BHP fit through a 36" doorway. High efficiencies up to 88%. Condensing, firetube duplex alloy stainless steel heat exchanger, linkageless modulation. High efficencies up to 95%. Uses natural gas or duel fuel with natural gas & #2 oil. Heat & Power Products, Inc. represents the following quality manufacturers. Heat & Power Products, Inc.